Hunters and gun enthusiasts, listen up if you can. Whether you’re out culling quail or just practicing your shot, it’s important to protect yourself. Studies have shown that only about 50% of shooters wear proper hearing protection while taking aim at paper targets down at the range, and even fewer do so when they’re out in the wild, chasing after game. Such bad habits can lead to high-frequency hearing loss. You may find yourself surrounded by friends, unable to hear anything that they have to say. You’re catchphrase might become, “Huh? What was that?” And that’s not a good catchphrase to have when you’re searching for a skittish buck. Luckily though, there’s an inexpensive, easy-to-carry invention that protects your ears and allows you to hunt and shoot practically uninhibited — and sometimes better than you would without anything at all. They’re called earplugs. I know you’ve heard of them. What you need is then, is a pair of the best ear plugs for shooting! 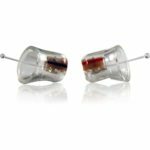 In this article, we’ll take a look at the five best shooting ear plugs on the market today, and then we’ll look at a few factors that’ll help narrow it down and help you choose the best of the best so that your hobby doesn’t end up hindering your social life — or itself, for that matter. Created by Etymotic Research Inc., a research, development and manufacturing company, the GSP-15s not only offer some of the best automatic hearing protection on this list, but they also offer up to five times amplification so that you can still hear conversation and rustling ducks, while still being protected from loud noises. All with the flip of a switch. Each mode — LO and HI, respectively — offers blast protection, gradually reducing the noise from vehicles, machinery or gunfire from nearby sources, which makes them a great buy for hunters, gun owners or anyone else surrounded by loud and constant racket. To achieve such feats, Etymotic implemented a handful of ACCU technologies, including high-definition, balanced armature drivers; high-sensitivity microphones and proprietary wide-dynamic, range-compression K-AMP signal processing. Priced in the hundreds, they’re far from the least expensive electronic ear plugs on the market, but they’re definitely some of the most dynamic and have been voted the best ear plugs for shooting by many fellow shooters. You can have a clear conversation with someone right beside you and still be protected from any ear-damaging noise in the immediate area. Includes durable neck cord, cleaning tool, batteries, a protective case and an assortment of ACCU-Fit ear-tips for maximum seal and comfort. As dynamic as the GSP-15s are, these disposables are equally as basic. Made from super-soft, slow recovery foam, they slip right into the ear and are good for at least a day’s use. You can take them out a couple of times and, thanks to a quick recovery time, they’ll return to shape, ready for reinsertion whenever they’re needed. Priced at about a dime a pair, 200 in a box, they’re a bang-for-your-buck type of product, especially since they cancel out noise better than any other item on this list. (See NR rating below.) Their bright orange color also means they’re easy to locate in case you forget to bring backups. Amongst foam ear plugs, DuraPlugs are one of the best ear plugs for shooting we’ve tested. Not quite as exquisite as the GSP-15s, but a step up, design-wise, from the disposables, Mack’s Shooters Earplugs are some of the best hunting ear plugs on the market today. Mack’s Shooters military ear plugs are also super easy to clean, which is important when you’re talking about reusable inserts. At under $5 in most stores, they’re pretty well priced as well. That makes them a strong candidate for the best ear plugs for shooting in our little contest. Built by SureFire, a manufacturer of tactical weapons and accessories, the EP4 Sonic Defenders are a set of non-electrical earplugs that use a triple flanged system to keep the good noises in and the bad ones — over 85dB — out. They also come equipped with a pair of filter caps that can be inserted to reduce lower-level noises, a la talking, for use in airplanes and other crowded areas where you’d rather relax. They’re made from a soft-yet-durable, hypoallergenic polymer that’s been optimized for both comfort and durability. (Manufacturer claims that they can last for up to 6 months-plus, as long as they’re taken care of.) A low-profile design means they can be worn comfortably with a mask, helmet or hat, or while using a phone, headphones or earmuffs. Priced reasonably, they’re not a bad buy either. Comes with a detachable lanyard. Available in clear, black or orange. Compatible with radio communication systems. It’s all in the name. Custom. Molded. Earplugs. That’s right. You take the pair of thermoplastic earplug molds, plop them into a pot of boiling water, allow them sit for five minutes, let them cool for thirty to forty seconds and then mold them into the shape of your ears. And if you don’t get it right the first time around, you can do it all over again. No problem at all. Great for shooting, as well as traveling, swimming, music making and concert going. They’re not too terribly priced either, especially since they’re the first of their kind. Comes in blue, red, orange and purple. Now that we’ve covered some of the best ear plugs for shooting on the market, it’s time to talk about which ones might be the best fit for you. 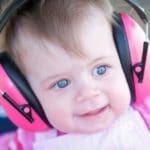 Here are a few factors to consider when looking around at proper hearing protection. All hearing protection devices must first be inspected by the U.S. Environmental Protection Agency before sale. During this inspection, the item is given an NRR, or a noise reduction rating. The number, however, is only an approximation. 124dB = A much safer sound for your ears. It’s easy to remember: higher ratings mean less noise. Let’s face it, if the earplugs don’t fit right, or if they make your ears hurt because they’re a little too big, then you’re never going to use them. It’s best to do as much research as you can before purchase so that you know you’re getting the right size. Also, if you’re constantly on the move, accessories like lanyards and harnesses can get in the way and make unnecessary noise if they’re not detachable. Though color might not matter when you’re practicing at the range, it might matter when you’re out in the woods, attempting to blend in with the bushes and trees. It’s important to take color into account so that those brand new hotrod red earplugs don’t send your prey running for cover, or send you home after a four-hour hunt with nothing to show for it. Hearing protection devices, such as earplugs, should be seen as a safety standard when shooting. So it’s best to find a kind that fits and fits well, otherwise you might end up missing the mark in more ways than one. It’s worth to pay a few more bucks to get the best ear plugs for shooting possible, for both your comfort and safety.